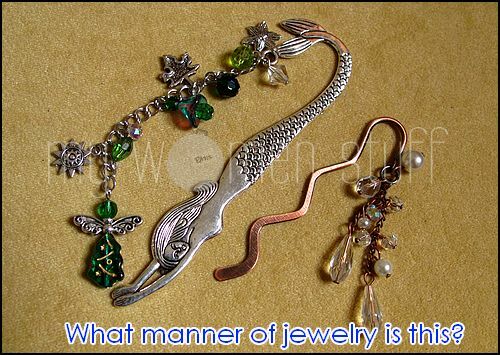 I never knew there could be jewelry for books! What would you have thought they were? I don’t know about you, but I’m starting to be in the Chinese New Year mood. Having to spring clean the house to welcome in good fortune has certainly added to my mood because its getting more intensive by the day! Just about 2 more weeks to go now. I picked up these adorable tins of Badger Balm in Hong Kong City Supermarket for HKD38 (RM19) each. So cute right? 😀 I previously saw them at an expo here in Kuala Lumpur and when I spoke to one of the sales assistants I was told that Badger Balm is available at certain very selected pharmacies or at hospitals or something vague. What I gathered is that Badger Balm is not widely available here which is a pity. 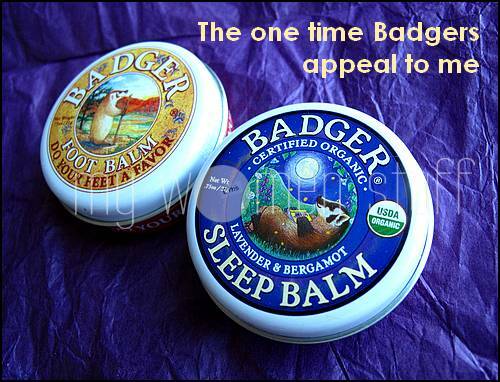 I had heard a lot about Badger Balms from my previous online excursions and the Sleep Balm comes highly recommended for those who have sleeping problems. I sometimes do, so I got that. Plus, my feet were aching after 3 days of non stop walking from morning till late nights in the streets of Hong Kong so I got the Foot Balm to ease my aching feet. The Badger Balms have a waxy feel. Most “balms” do. Badger however says theirs are certified organic. The balm is a little hard to “dig” out of the tin (and don’t attempt it with long fingernails) but once you rub your fingers over the surface, it will warm up and be easier to apply. The Sleep Balm has a faint scent of lavender and bergamot. 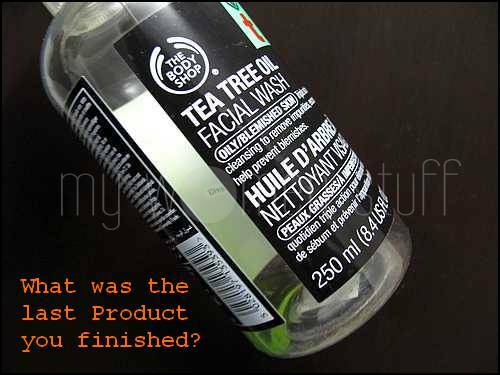 The scent is very faint. Nothing overpowering at all. I was expecting something much stronger at first so I was surprised. I also expected a miracle – perhaps that it will knock me out? But nope. What the Badger Sleep Balm does for me is to help me relax to the point that sleep comes easier. I rub some of the balm on my temples and under my nose before bed, then relax with a good book till the words start swimming together. It works to a degree to help me sleep – just don’t expect miracles. Oh I also sometimes use it on my lips at night. Doesn’t keep my lips as moisturized as Vitamin E oil but helps prevent it from drying out too.